We are pleased to announce that GPG is accepting players for 2019. Gorillas will be fielding teams for youth and high school based team for 2018-19 Season. Gorilla lacrosse is about training, developing and having athletes be the best player they can. We immerse players in a system of support with coaches that are experienced and develop a positive atmosphere for learning. We all believe that the basic and fundamental aspects of any sport should be this positive experience and a fun learning environment. Success is achieved when players want to strive for that positive reinforcement from coaches, peers, and family. With that in mind, our motto is as it's been in the past: Practice hard, play hard and have fun! In the past, the Gorillas had operated with multiple youth and high school teams with great success. In 2016 we opted to scale back and just have a high school group play each year. We had multiple reasons, but most important was the market had been flooded with youth teams. Many of these new programs promised the world to players and parents. They fed promises they just could not keep. They promised top-notch training and they dangled the ultimate carrot in front of families: "Recruitment" a promise to play in college if you play with that team. So many people were drinking the "Kool Aid", we did not want to be involved anymore. So we downsized and quietly played each summer with a group of high school athletes who came out to play hard and have fun. Ironically along the way about 1/3 of our players, each year opted to join the college game. Mostly at MCLA and NCAA DIII level. We helped them understand college is about learning for the rest of your life. Pick a college that suits your academic needs first. If they have lacrosse it's a great addition. We really never believed in "Try Outs" You see tryouts are a way for programs to make money. In our area, most club teams don't have full rosters until spring. We have really only known one local team to make cuts. The rest take everyone as a base and fill in during the offseason and spring. So we decided to have selections throughout training this year. So what's the difference? Well, we feel that selections are a two-way street. We want families to select us for our values and the way we coach lacrosse. We want to select families and athletes because they want to work hard and have fun. We want parents who believe in creating a positive atmosphere and will not be screaming on the sidelines or belittling their child after a mistake. We all want players to succeed but understand that failure can help make us better, especially with a positive atmosphere of coaches, teammates, and family. Finally, we are not selling you a system or some promise. What we do is teach lacrosse. We don't do swag: no helmets to buy, special glove giveaways or matching home and away uniforms. We find them really to be distractions or noise. We play as a team, but you represent yourself, family, youth and HS teams as a Gorilla. We also promise to not be "daddy ball" Our coaches do this because they love the game and want to teach. They are experienced players who want to share their passion. We are not just parents putting a team together to benefit their child. Summer Lacrosse: We will start back up again in the second half of May for high school and June for Youth. 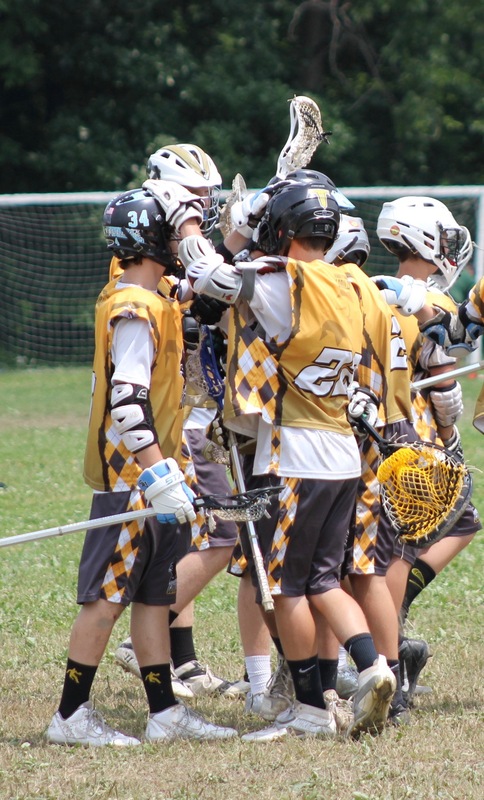 Our summer season will include a team camp in June, training weekly and play in the Arrow Lacrosse Summer League. We will also travel to two summer events. Those weekends will be June 22-23 Buckeye Classic and July 20-21st at the Niagara Invitational. We are filling roster spots for High School. The HS team will be rostered with 18-20 players. The 2027-28 will be 15-18 players.